Master Sha's™ voice connects deeply with many layers of Divine, Tao, and Source and carries these frequencies and vibrations of love, forgiveness, compassion, and light to bless your health, emotions, relationships, finances, business, intelligence, and much more. 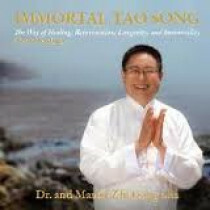 Meditate and practice with these beautiful CDs for nourishment and sustenance. Allow the high frequency and vibration to help you maintain your energy, stamina, vitality, and immunity. Play the CDs in your home, workplace, or car to bring the frequencies of to Divine, Tao, and Source into all aspects of your life. You and others will be extremely blessed.